Last day at the Japanese Gardens - but I'm sure we'll be back. This, as is fairly obvious (!) 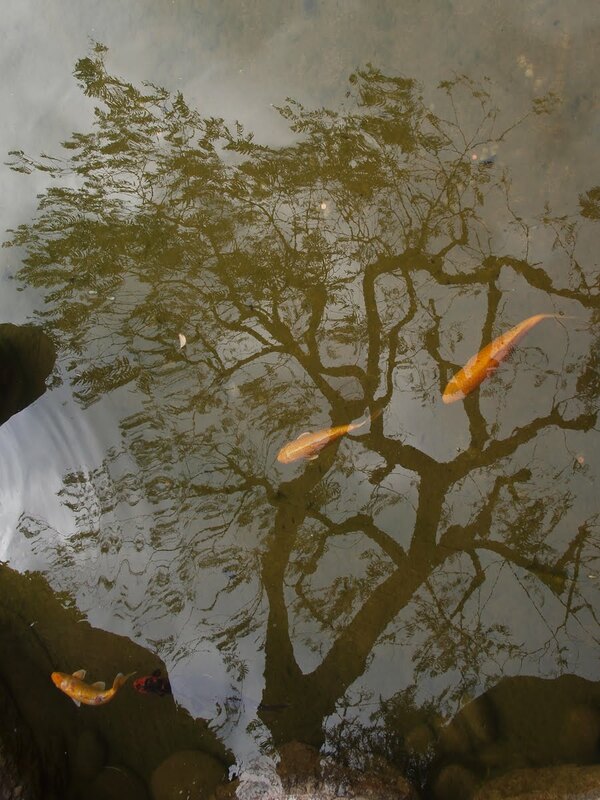 is a reflection in a pool that contains Koi Carp. what a great shot with the reflection and the fish! It looks more like a painting -- flying fish. They look like they are swimming around that tree. The fish are beautiful bu the reflection makes this so much more interesting. Good shot J.